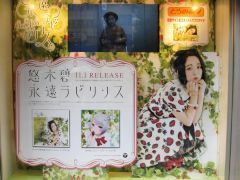 At the end of October 2017, there was a store front window display at Toranonana for the latest single by Yuuki Aoi. 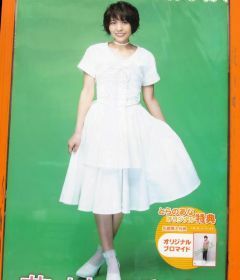 At the end of October 2017, there was a large advertisement on the wall of Radio Kaikan for the latest mini album by Tamura Yukari. 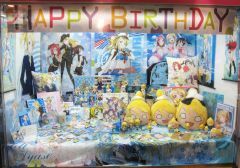 October 21 was Ayase Eli's birthday, and there were decorations at various shops and game centers. 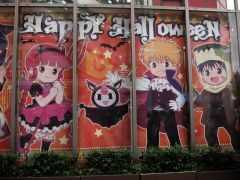 In October 2018, there was a collaboration at Atre Akihabara for the TV anime Mahoujin Guru Guru. 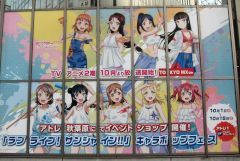 Between October 1 and October 15, 2017 there was a special shop for Love Live Sunshine on the second floor of Atre Akihabara. 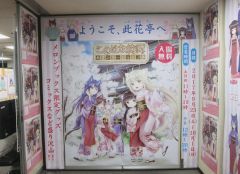 Between September 23 and October 1, 2017 there was a special shop for the TV anime Konohana Kitan on the 5th floor of Melon Books. There were character pops, many anime panels, and various goods on sale. 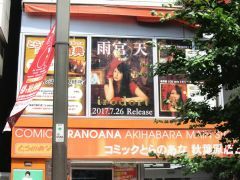 At the end of July 2017, there were advertisements on the second floor windows of Toranoana for the latest CD by Amamiya Sora. Toyosaki Aki "Love Your Best"
In July 2017, was a store side advertisement for the new album by Toyosaki Aki.